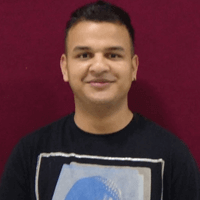 Here i am sharing success story of one of our alumni Abhishek Bisht. Working as IP Associate Specialist in Anaqua India LLP in Gurugram. He did B.Com and thereafter LLB, Hemwati Nandan Bahuguna Garhwal (Central) University, Uttarakhand (2013-2016). Have taken part in “The_Law @ Forum” organized by University of Petroleum & Energy Studies, Dehradun in 2013 and got first position. He joined online Job oriented Patent Analyst Training Program in IIPTA. Today he is successfully placed in Anaqua , world’s leading IP Firm on the post of IP Associate with very good salary package and he is performing well at his job. Abhishek gives most of the credit of his success to his parents and IIPTA team who always remained very supportive. His dream is to fulfill his parents expectations. Here’s wishing his all the very best for his future endeavors.